Visited the wonderful Bookseller Crow yesterday in Crystal Palace. A great selection – at what indie can you pick up a copy of David Markson’s This is Not a Novel or Edward Douglas Fawcett’s Hartmann the Anarchist (as well as various Verso books)? Such a pleasure to find a shop where you’re introduced to new titles by virtue of the intelligent selection. 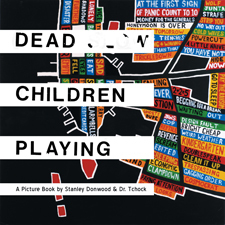 The Fawcett is, incidentally, illustrated by Stanley Donwood – Verso published his (along with Dr Tchock) collection of artwork for Radiohead Dead Children Playing. To see images from the book go here.